I’ve mentioned before that one of my all time favorite just-for-me things is painting my nails. I get to relax, pamper myself, and spend a little me time. So when I’m looking for a great any time gift for another nail-loving-lady, it doesn’t get any better than nail induced relaxation in a jar. 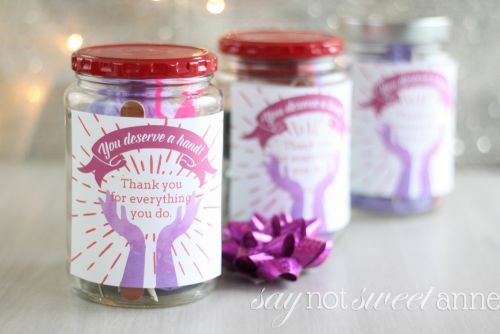 This lovely Nail Jar Gift is great for any occasion, and I’ve even made a cute printable to go with it! Click on one of the labels. 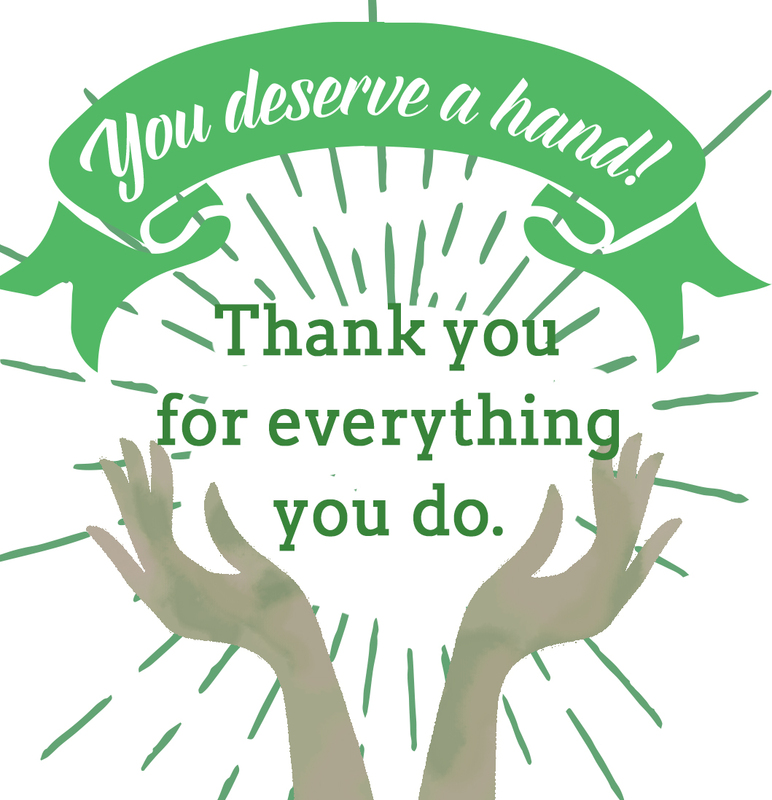 When the larger image opens, Right Click and select “Save link as…” to save it to your computer and print it later! Start by cleaning your jar and painting the lid. I like to use acetone to remove any left over stickiness from the label. Collect your supplies. I bought a couple multi-packs, and then broke them apart across a few of the jars. 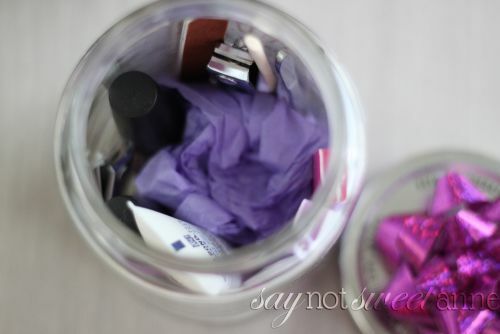 Tuck everything in the jars together, using matching tissue paper in the center if needed to push the pretty nail tools to the outside of the jar so that your recipient can see all the goodies they’re getting. Use double sided tape or a glue stick to add the label to the jars. Done! 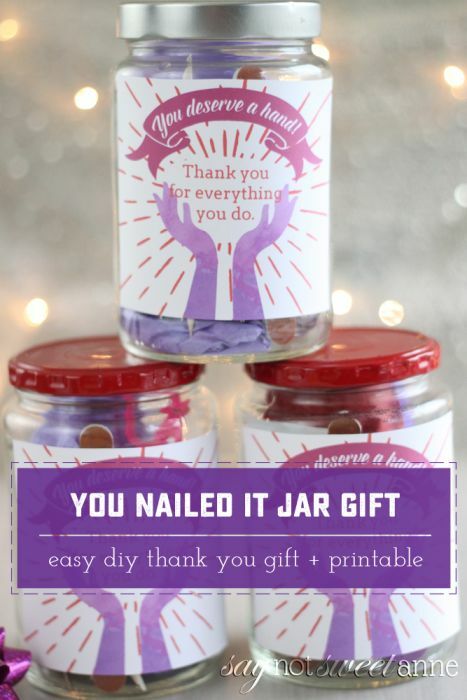 You’ve got a beautiful Nail Jar Gift for any occasion! 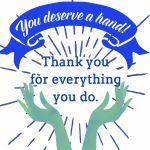 Pingback: 20 DIY Gifts Ideas for Teachers - A Worthey Read!